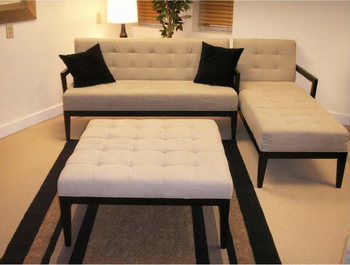 Armen Art Furniture available through Z Modern Furniture Store In Alexandria Virginia. White Glove delivery available in Northern Virginia, Washington DC & Maryland. 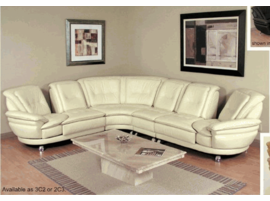 Shop Armen Art Furniture on our web site or Visit our Virginia (VA) or Washington DC Furniture Showrooms. REAL TRAVERTINE HISTORY: The natural beauty of real travertine is formed over millions of years, under the earth, by thermal springs with a wealth of limestone deposits. The combination of these deposits, with a heat source provided from volcanic action, gives travertine its' porous nature. The moving of the land mass and heat produce the beautiful beige color, veins, spots and unique patterns in the travertine. 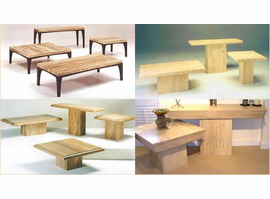 TABLES: Due to this natural process, each piece of real travertine is an original and unique object. There are no two identical pieces, and as a result there is NO GUARANTEE an exact duplication will be made. 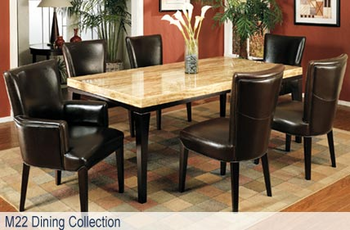 Every effort is made to deliver a table with similar coloration, but there may be some differences in color spots and patterns that are different or uneven and need to be filled. This is a normal finishing process for travertine which causes your table to be different than the sample displayed in the store. 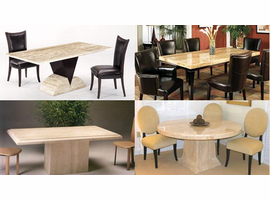 CARE & MAINTENANCE: Each piece of our travertine is carefully polished and coated to enhance the beauty and longevity of the table. With proper care, this piece should last through more than a lifetime of use. 1. Avoid undue pressure on corners or unsupported areas. 2. Always carry tops from the sides, not the ends, in an upright or vertical position, never flat or horizontal. 3. The flat finished seal protects the stone and aids in the prevention of stains. 4. Clean with a damp or dry cloth. Avoid the use of harsh detergents, cleansers or abrasives.